What is "Sea of Green" (SoG)? 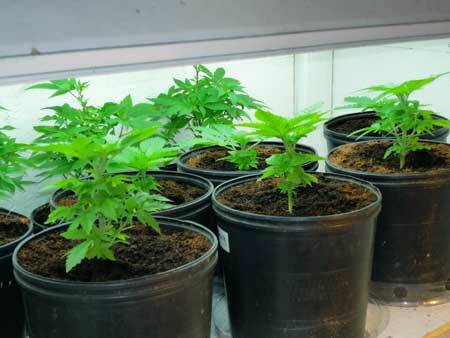 "Sea of green" is the idea of growing many small cannabis plants instead of just a few bigger plants. The advantage is that you are able to get to harvest more quickly because each plant doesn't have to get nearly as big to support the same total number of bud sites. If each plant only needs to get half as big, it takes much less time to harvest! Since each plant doesn't have to get very big before the switch, the time to harvest is reduced by a few weeks. 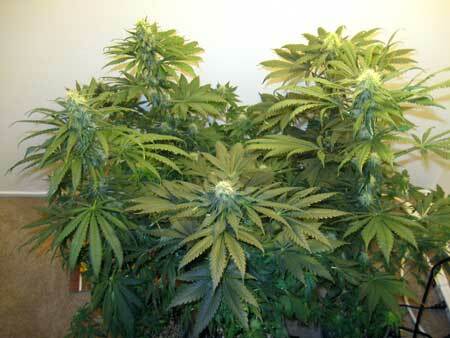 However, since there's so many plants and bud sites, you get the same yield as you would from bigger plants. 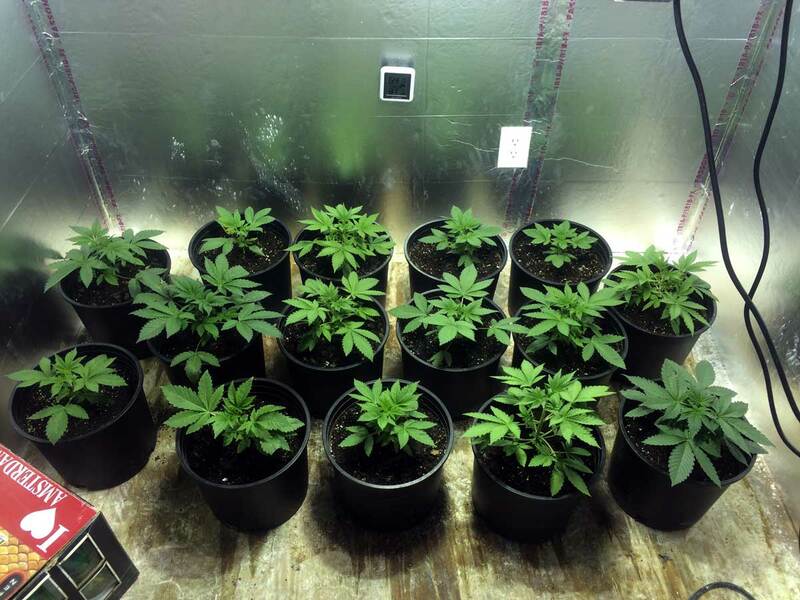 These 5 auto-flowering plants were started at the same time in this DWC setup. Without any training or special time schedules they grew into this at harvest! You often don't need to do much plant training in a SoG setup, so you spend less time each week that would have gone into training if you wanted to achieve similar results with a bigger plant. More time-consuming to take care of more plants. Watering and accessing plants in the back can be tough! Plants are often crammed together, which increases your chance of mold or mildew if humidity isn't under control, if there's poor air circulation, or if plants get too leafy. Some plants might grow dramatically different from the others (for example get much taller or shorter), which can be a pain when you have a lot of plants to work with and you're trying to keep everything as even as possible. If you're growing more than one strain this can be an even bigger problem. For this grow style, growers usually switch to the flowering stage when plants are around 4-6 weeks old. Plants switched sooner than 4 weeks may not have enough time to really get the most out of a SoG setup. 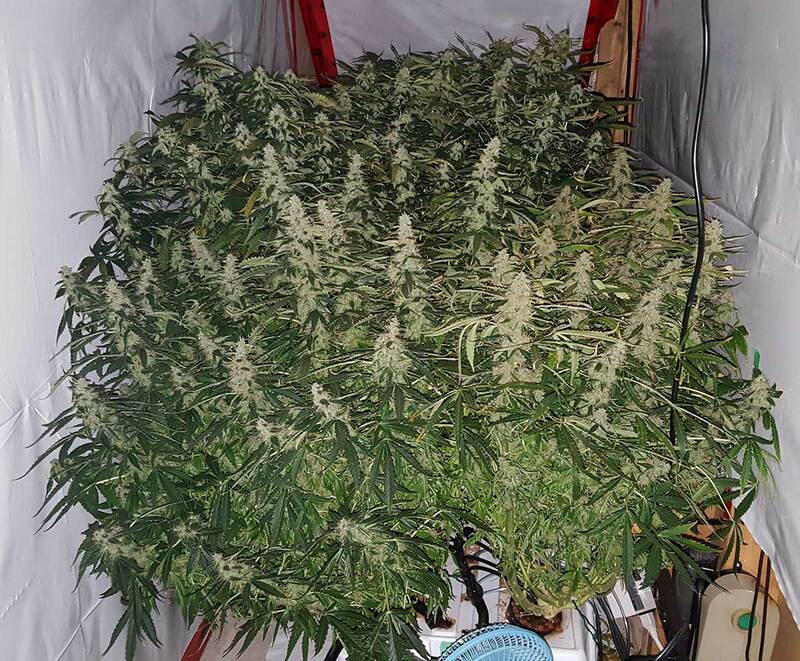 Adding an extra week or two of veg so each plant gets bigger can make a pretty big difference on yields too, so it's about finding that balance between getting to harvest as quickly as possible versus harvesting a lot of bud. 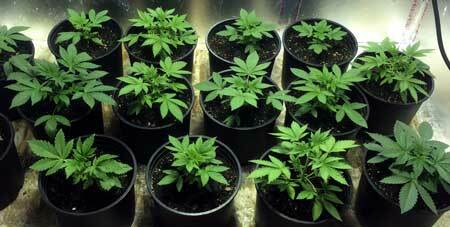 Many growers also "top" their seedlings by removing the tips of seedlings when they have about 4-6 pairs of leaves. This can increase the number of buds sites, but if you have enough plants you will have enough bud sites. It's often easier to grow fewer plants, so for a grower with time concerns, you can get a lot of the benefits of Sea of Green with fewer plants by simply topping your seedlings and giving them an extra few days or a week in the vegetative stage. 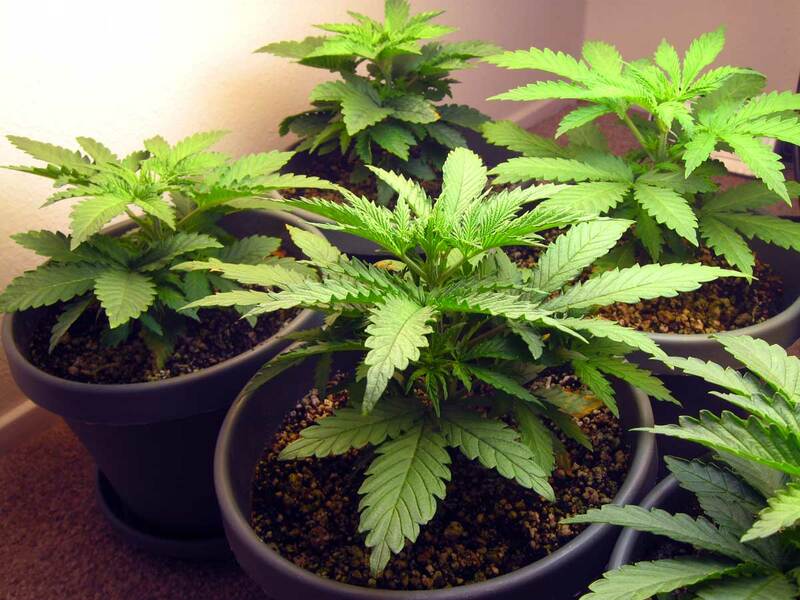 For SoG, wait to switch to 12/12 until plants are this size or bigger (note: young plants like this can and will double or triple in height after the switch to 12/12). Here you can really see the SoG in action after all the plants start making buds. Even though each plant didn't get very big, there are many, many bud sites! They completely fill the entire space! 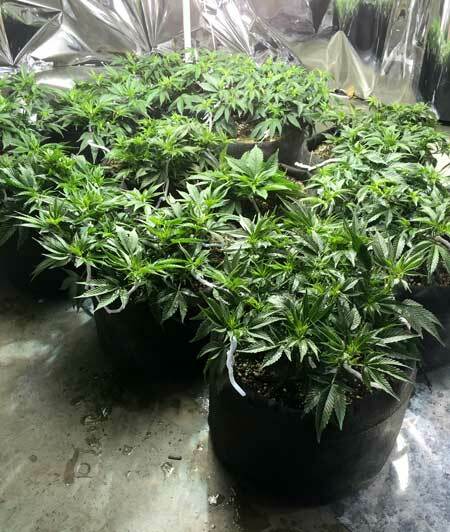 Here's an example of SoG in action during the vegetative stage using those 8 seedlings. Notice how quickly the whole space got filled up since there were so many plants. It went from empty to completely filled in about 4 weeks. By the last picture, all 8 plants are already flowering. 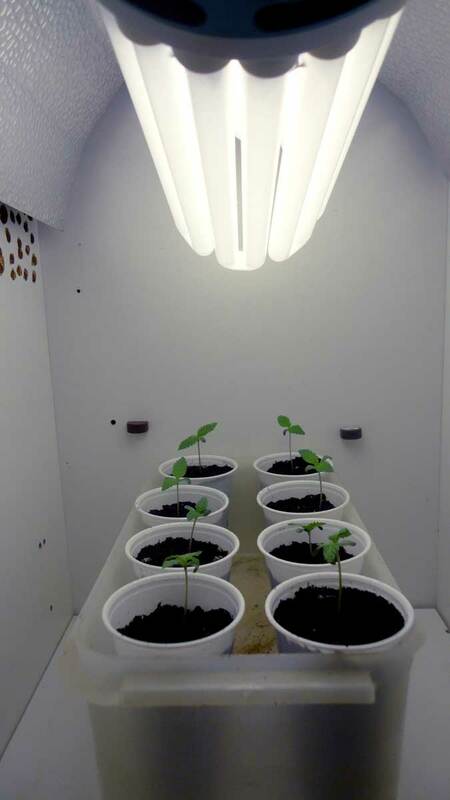 Each of those plants will be able to support a fat main cola in this setup, and it took less time than if the grower had tried to fill that space with just one plant. Thanks to GIVE_ME_ATTENTION for making this moving gif of a SoG in action! When using SoG, it's up to you to decide how many plants, and how big you let them get before you switch to the flowering stage. Notice how much taller the plants are at this stage. In a SoG setup, make sure you don't underestimate how much your plants will stretch after being switched to the flowering stage! 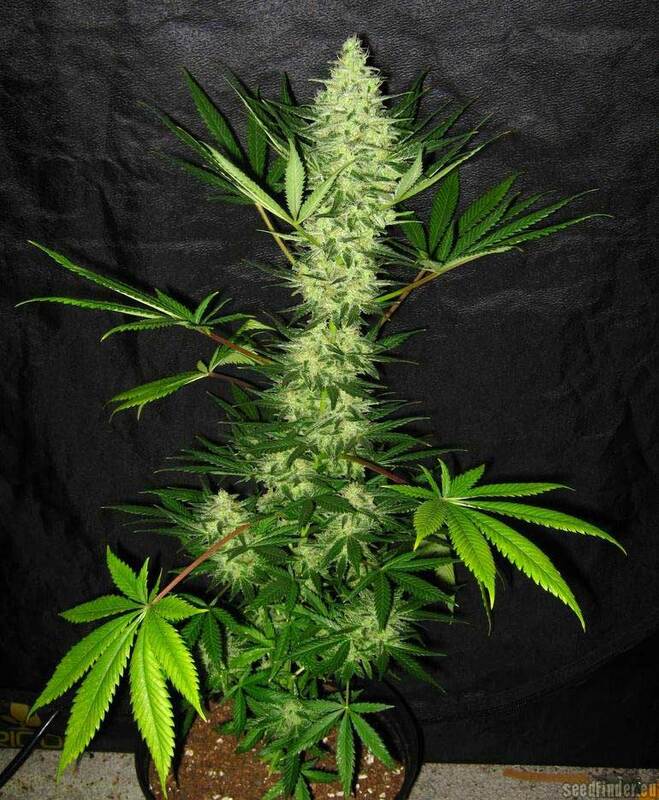 Sativa strains and very young plants that are switched to 12/12 are especially known for stretching a lot! 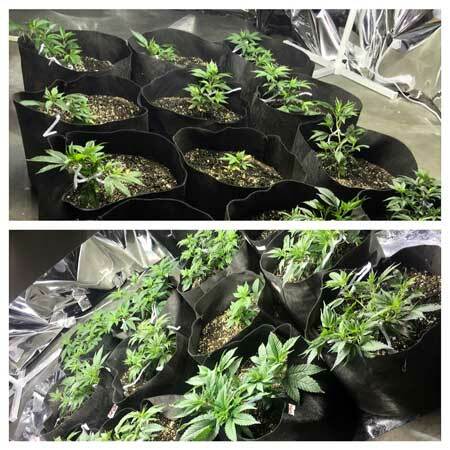 SoG setups are sometimes popular with those growing many auto-flowering strains, since these strains cannot be trained with most of the traditional plant training methods. In some parts of the world, SoG isn't as popular as other training techniques because growers have legal limits on how many cannabis plants they can have at any one time. 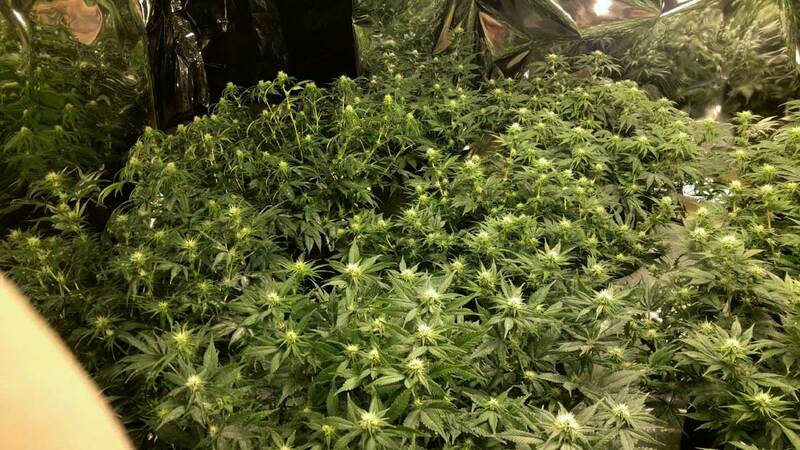 SoG uses a lot of small plants instead of training fewer big plants to fit your space so if you have plant limits this is not the best use of your space. But for those who are able to grow as many cannabis plants as they want, SoG may be a fast choice to get an even canopy and a lot of buds with very little plant training!